Following the May 2015 discussion on improvements to CIF governance (see CIFs Monitor 12), a code of conduct was approved in April, applying to trust fund committee and sub-committee members, observers and technical experts. The code addresses “issues of integrity, accountability and conflict of interest”, and states that any member or observer failing to comply would be expected to resign. Moreover, the trust fund committee is expected to appoint a point of contact for advice on implementation of the code. Moreover, the June joint trust fund committee meeting approved a business plan on evaluation and learning, including four priority themes: transformational change; private sector investment; local stakeholder engagement and benefit; and CIF design and approach. Progress on the Enterprise Risk Management (ERM) framework and the development of risk dashboards for CIF programmes were noted (see CIFs Monitor 9). All CIFs continue to struggle with resource shortfalls (see CIFs Monitor 13), which have been exacerbated by the eleven per cent fall in the value of the British pound (GBP) between end of May and end of September, leading to a decrease in the value of unencashed promissory notes (unredeemed pledges). The June meeting confirmed that the CIF Administrative Unit has “explored options for hedging the CIF’s exposure to currency risk resulting from outstanding foreign currency-denominated promissory notes, but that hedging such risk is not possible.” All trust fund and sub-committees have been calling for further financial contributions, and for the funds to continue to design projects and programmes to also attract funding from other sources, such as the GCF. The November CTF semi-annual operational report estimates that there will be no funding available for projects scheduled for approval beyond May 2017. A CTF pipeline management and cancellation policy was approved in September, setting a deadline of June 2017 for submission of remaining projects and programmes in the pipeline, after which the funding will be released. Moreover, a new paper on the future strategic direction for the CTF, including options for new financing modalities, will be discussed in the December trust fund committee meeting. Pipeline management and cancellation policies are also in preparation for the PPCR. While the PPCR has approved funding for preparation of the SPCRs for almost all new pilot countries, no funding is available for the preparation and implementation of projects. The FIP is also preparing a cancellation policy. 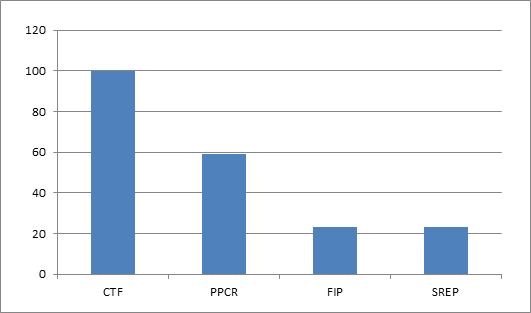 In addition, initial assessments are in preparation for an alternative financing model for FIP. As of end June, due to the fall in the GBP, should all projects in the pipeline be submitted for approval SREP resources would only be able to support funding commitments until February 2017. The 13th meeting of the GCF board was held in Songdo, South Korea, in late June, with real-time webcasting of the meeting available for the first time. Following the Korea Export-Import Bank’s (KEXIM) application to become an accredited entity, concerns were raised over the accreditation of export credit agencies (ECAs). CSOs also pointed out that KEXIM is a major financer of fossil fuels. The board failed to reach consensus and postponed the decision on all applications to the following meeting. Nine funding proposals were approved, despite concerns over the timely availability of all documents, and questions were raised over whether a Chilean solar project warranted climate finance resources. The meeting saw a continuation of the vast majority of the GCF’s resources being channeled through developed country and multilateral institutions, such as the World Bank. The 14th meeting of the board was held in mid-October, with the venue changed at the last minute from Ecuador to South Korea. During the meeting the board selected Howard Bamsey from Australia as the new executive director for a four-year term. The board also accredited eight new entities, including GIZ (German Corporation for International Cooperation), the third Germany entity to be accredited, however, KEXIM was not considered as it had withdrawn its application. The board also approved ten projects, with two proposals (Pakistan and a multi-country EBRD project) requiring amendments prior to approval due to objections. The board decided to approve the projects as a package, despite concern over the lack of assessment of each project on its merits. Policy gaps in the project approval process were also discussed, leading the board to state that the process of approval of funding proposals to date should not “constitute a precedent”, however, civil society pointed out that the board has already made such statements multiple times. Additionally, a decision on country ownership guidelines was delayed. The 15th board meeting will be held in 13-15 December in Samoa. Agenda items include readiness and preparatory support; environmental and social management systems; and matters related to funding proposals. 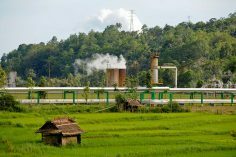 The World Bank-housed Climate Investment Funds (CIFs) are financing instruments designed to pilot low-carbon and climate-resilient development through multilateral development banks (MDBs). They comprise two trust funds – the Clean Technology Fund (CTF) and the Strategic Climate Fund (SCF). The SCF is an overarching fund aimed at piloting new development approaches. It consists of three targeted programmes: Pilot Program for Climate Resilience (PPCR), Forest Investment Program (FIP) and Scaling up Renewable Energy Program in Low Income Countries (SREP). The CIFs operate in 72 countries worldwide. 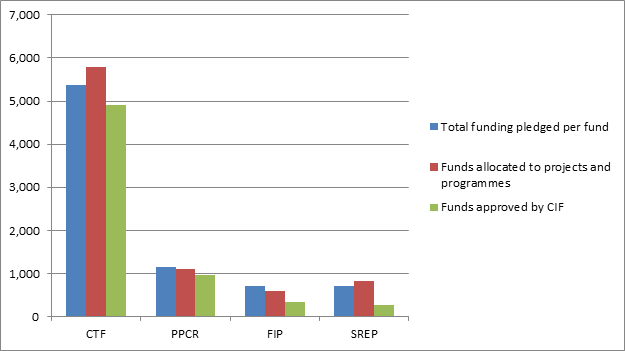 As of end June 2016, donor pledges amounted to a total of $8 billion to the CIFs: $5.4 billion to the CTF and $2.6 billion to the SCF ($1.2 billion for PPCR, $720 million for FIP and $716 million for SREP). Projects are executed by MDBs: the African Development Bank (AfDB); the Asian Development Bank (ADB); the European Bank for Reconstruction and Development (EBRD); the Inter-American Development Bank (IDB); the World Bank’s middle income arm, the International Bank for Reconstruction and Development (IBRD); and the World Bank’s private sector arm, the International Finance Corporation (IFC). Under the ‘sunset clause’ the CIFs are due to close once a new climate finance architecture is effective under the United Nations Framework Convention on Climate Change (UNFCCC), through a mechanism such as the Green Climate Fund (GCF).